Grey jamdani sari by Sailesh Singhania at AASHNI+CO. 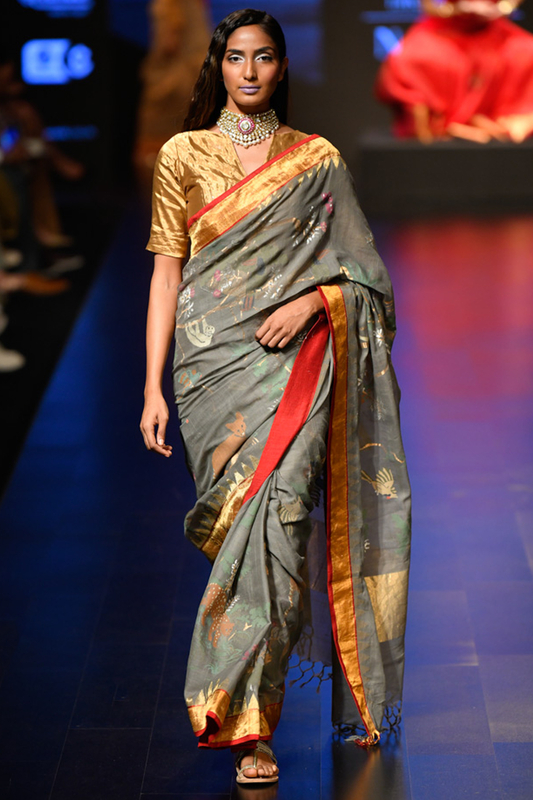 Sailesh Singhania brings sihouettes bedecked with motifs of art featuring a grey jamdani sari with motifs from the jungle paired with a gold tissue blouse. Style the look with gold chandbalis and potli bag.